The Dutch are quickly becoming Europe's thought leaders on EU reform. The Dutch government's "subsidiarity review" contained numerous interesting ideas for EU reform, the Dutch lower house, Tweede Kamer recently published a paper outlining key proposals for how to strengthen the role of national parliaments. 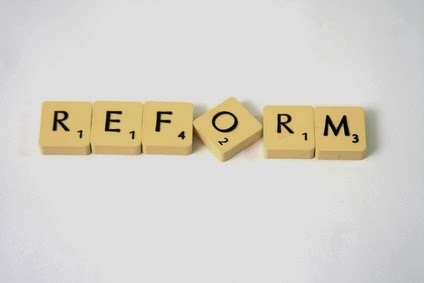 And today, the Dutch foreign minister, Frans Timmermans, used a piece in the FT to set out some new ideas for reform. Timmermans wraps his ideas in quite friendly language but there are some pretty sharp lines in there. "That has not stopped its machine from producing directives and regulations, creating a regulatory burden that bears down on businesses and people." "has been fully empowered by the Treaty of Lisbon. It has an important role to play, but at every turn it demands more resources for more Europe while it attracts ever lower electoral turnouts." A European Governance Manifesto for the next five years with the member states, laying down what the EU should and should not do. "This will mean more Europe in some areas, and less in others." "Create a smaller, reformed commission with a president and vice-presidents heading a limited number of policy clusters. The vice-presidents would have the sole authority to initiate legislation." Encouraging "national parliaments to bring Europe back home where it belongs." He throws his weight behind a "red card" for national parliaments - if one-third of them object, a Commission proposal is history. As you know, we love this idea. However, he says he doesn't want treaty changes and, interestingly, claims the ideas he put forth can be achieved without such changes. We assume that, for the red card, this would effectively mean a political agreement to the effect that the current yellow card means a red card in practice. "In this we do not stand alone. Other partners have put forward proposals that share a similar thrust: a more focused and balanced EU with less burdensome regulation. Let us seize this momentum and start with an in-depth debate on change and reform. For this is our chance to shape “our” Europe together." Off-topic: I haven't received the Open Europe news bulletin for the past couple of days, is there a problem? "However, he says he doesn't want treaty changes and, interestingly, claims the ideas he put forth can be achieved without such changes. We assume that, for the red card, this would effectively mean a political agreement to the effect that the current yellow card means a red card." "National parliaments opposed to creating an EU-wide prosecutor want the European Commission to rework its flagship proposal, but EU officials say it is likely to go ahead. Chambers in 11 national parliaments got enough votes to trigger a so-called “yellow card” procedure when they filed their complaints to Brussels earlier this week." "An EU official told this website that: "Formally, the number of votes was reached to trigger the yellow card procedure." But they added: "It is the commission that decides if there has been a yellow card or not and what would be the consequences."" And the yellow card procedure is actually written into the treaties approved by the national parliaments; but this chap thinks it would be enough to just have a political agreement that when the Commission deigned to agree that there was a yellow card they would go further and treat is as a red card? This chap who is Dutch, when apparently the Dutch parliament was among those objecting to the proposal for an EU-wide prosecutor? "For his part, Ard van der Steur, an MP from the liberal VDD party in the Dutch parliament, told this website the yellow card must be respected. “Any suggestion by the European Commission that there is no yellow card is ridiculous,” he said. “The yellow card is in place and now it is up to the European Commission to see what they are going to do about it," he added." Never mind these bonkers proposals from the Dutch government; what we in Britian need is a national veto on each and every EU proposal, and nothing less than that will do. We have checked our mailing software/lists, and everything should be fine. Please do let us know if you still don't get our daily press summary on Monday morning. Looks more like a bit pathetic attempt to keep the voterbase happy. Getting the thing reorganised without treaty change is simply completely unrealistic. Either they havenot got a clue or are hoping their potential electorate will buy it when some noise is made (which doesnot seem to be that way). Looking at the Dutch polls it is simply 5 minutes before 12 for the EU. Even now the government needs basically Eurosceptic parties (like the small Christian parties to get things past parliament). Polls indicate that if election were held now, all traditional parties have to come together to get a majority in parliament (and even then it might not be enough). 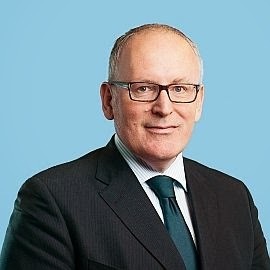 Timmermans looks like one of the best examples where leadership of traditional parties have simply missed the sign of times and became completely disconnected with their voterbase. Anyway will be very interesting to see how this plays out for his party. As it looks now Holland will be the first country were traditional Labour-likes will be reduced from one of the major players to political obscutity. And they are not doing things very different from similar parties in other countries. Simply first the Dutch system made a fragmentation on the left (as well as on the right btw) possibible. And with the traditionals simply not being able to compete with that new competition simply looks to be making other players on the left the frontrunners for leadership there. Or more accurate the 2 left parties doing best are basically representatives of the 2 largest groups on the left. Middleclassed with a workingclass background and the entitlement dependents. Keeping these 2 groups together (like the Labours did before)when brought under pressure simply doesnot seem possible. The conflicts of interests are simply too huge. Made much worse by the traditional leadership by simply missing this completely (basically assuming people vote for them mainly because of solidarity (and not for own interest (so called one way solidarity). Plus getting like guys like Timmermans completely disconnected with the voterbase. -traditional parties have missed in their own self importance nearly all major trends at least at first but often simply until it was too late to adjust. Hard to see populists not making the kill in some of the countries. Either becoming a major force or even get into power. Clear that one will have to take place to make it work in all major EU members. This looks more like a process. Guys that woke up much too late to see what was happening trying to catch up with reality. As true politicians not admitting they were wrong earlier on (although it is completely clear to most of the electoratebtw). Anyway. They has started to move. And it is hard to see it otherwise as a first step. Or for the Dutch possibly a second. -EU media picture. As I see it that will remain pretty awful. They still havenot got a clue (Moldova visa just today's example, how stupid can you get) about the competition they are playing against. Even if the economy will catch up there. It is very unlikely to do so at least at first for the average Helmut,Francois, Manual, Beppe or Jan. What looks like the preferred policies now (basically to rise taxes will not be very helpful as well btw). So looks safe to assume that the EU media picture will be bad and likely even deteriorate further (trend is simply South). Another point is that it looks like 'Europe' is pretty close to losing its rather favourable treatment in the media in general. Hard to see it otherwise, same thing we see now with Obozo in the US. Media support is declining. My idea is however the process will take considerably longer with the EU than with Obozo. Obozo is/was basically a hype. People were brought up with Europineness. It sits deeper. -related: the rise of the populists. They put the pressure on the traditional parties that put things a) on the agenda and b) makes those traditionals move. The more pressure the more change we will see. about the yellow/red card. Genuine question. So the Commission makes a proposal. It passes the Parliament and gets send to the Council of Ministers. Who sits at this council? Ministers representing the member states. Who do these ministers answer to? Their national parliaments. How is a yellow card system going to change the current lay-out. Isn't it the job of the national parliaments to keep their minister in check when he goes of to Brussel? And where is the mention of asking the Dutch people what they want via a referendum on EU membership? This must surely be the first step in every single EU member state before any 'discussion' can begin. By the time they have all finished discussing what to reform my children will have retired in poverty. After the EU 's findings on Gibraltar I now have nothing but contempt for them and see them as a major threat to our way of life. With the words of the 20st and 21st Century greatest philosopher Mr Johann Cruyff (I hope I write it correctly, if you have to be sure ask a Rumenian):'every disadvantage has its advantage'. More Open Europe Eurofascist diversion and lies. Open Europe conveniently seems very content to confuse and conflate the EUSSR political elite and their Eurofascist agenda with the actual people trapped in the EUSSR and the anti-EUSSR will of those people. If the Netherlands does 'nt take action,in december a complain "infingement EU-law"send to the european commission.Questioin now is: Frans Timmermans on as a vice secretary general European Commission.Is this a "old boys network"-construction?